Life is all about paths and which road to take as we embark on the adventure for our quest to live out the American dream. As a veteran small business owner, it’s an exhilarating feeling when you know you’re journeying towards the path of success. But, this is not a solo trip and you are not alone. Your customers are on a journey of their own, and competition in the business arena is fierce. Each day more and more businesses saturate the market, vying for the same customers and the same government contracts. If you want to stay on top and come out ahead, in the end, you will need to join your customers by taking a metaphorical walk in their shoes and go through their journey. This is a process that will help ensure you encapsulate the customer experience with your product or service, and in return will enable you to identify triggers, understand patterns of behaviors, and produce a personalized customer journey experience that results with accomplishing your business' goals. Before we get down to the nitty-gritty of this process, let’s start with the basics of defining a customer journey or buyer's journey and why it’s important to you as a veteran small business owner. What is a Buyer's Journey and Why Should You Care? Your buyer's journey navigates the path your customer takes to get to your desired outcome. It is the interactions people experience over time, through all channels and touchpoints, between you and your product, from initial awareness to the final decision and beyond. It is essentially the process a consumer goes through, start to finish – the before, during and after. Each business will have a different buyer's journey. So why is this something that should concern you and your business? The answer is simple. Expectations and consumer interactions have evolved; as should you. This is the fork in the road. Without transitioning your approach to adapt and transforming your mentality, your business will not be able to thrive or grow. Creating an element that visually illustrates the story of the customer journey, also known as customer journey mapping, will help you to gain a deeper understanding of the needs, wants and emotions during each stage, and allow you the opportunity to capitalize on those behaviors to improve areas of weakness and provide a customized customer experience. Think of it as a roadmap leading you to the holy grail – a happy and loyal customer who becomes an advocate for your company – attracting and generating more business through their recommendations, reviews and word of mouth. The age-old saying, “customers are always right,” still rings true today. However, we are now in an era where customer experience is the new customer service. One of the best things you can do for your small business is make insightful and meaningful relationships. There are three stages of the buyer's journey with an additional two that apply to some businesses. Let’s peel back the layers and examine what you need to think about in order to create that lasting imprint which will help your business grow and flourish beyond your wildest dreams. This is the consumer’s ah-ha moment. The light-bulb has gone off, and your potential customer has realized they have a potential need or problem and will begin to seek out a resolution. This is when that crucial first impression takes place. According to Think with Google, 87 percent of consumers look for information before visiting a store, and 96 percent of people use smartphones to get things done. Those are staggering statistics. We live in a society that wants instant gratification with the snap of a finger. Using mobile and having access to a virtual world, easily satisfies by delivering information the moment it is wanted and needed. The main goal in this stage is to introduce your company and create awareness for your product or service when they're looking for something they need. Introduce the need for your product and educate potential customers on what you offer and how you can help them. Focus on the customer’s problem/need. Your business will need to be at the top of its game and captivate consumers immediately. Having current and up-to-date information will be vital in fulfilling part of your customer’s needs and provide leverage over the competition who fail in that area. This is the first stage of interaction and when research begins. Create brand awareness with traditional marketing channels such as public relations, TV, radio, print, outdoor and online advertising. Help your customers learn more about you through non-traditional marketing channels like content marketing and inbound marketing through blog posts, organic search terms and social media. The Awareness Stage is all about building trust and establishing your company as a reliable source of information. While several of those mediums are manageable without the need for extra small business funding, a couple are more attainable with a larger marketing budget. 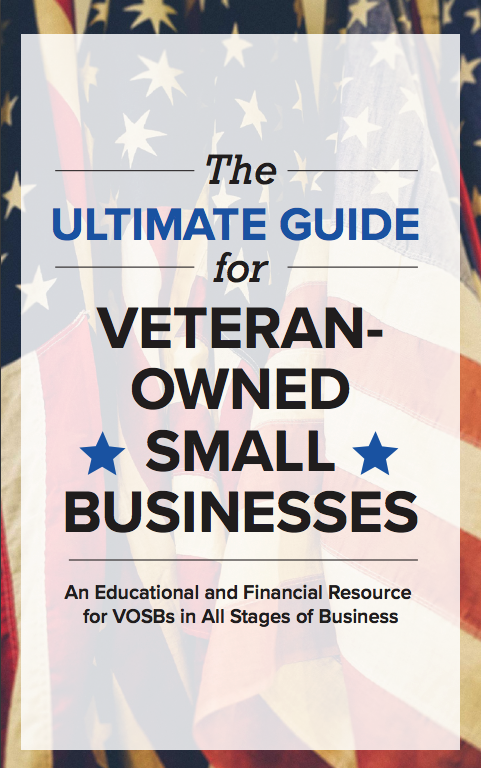 Our small business funding options are a valuable asset to veteran business owners who could use additional resources to assist with reaching an intended audience through increased marketing. 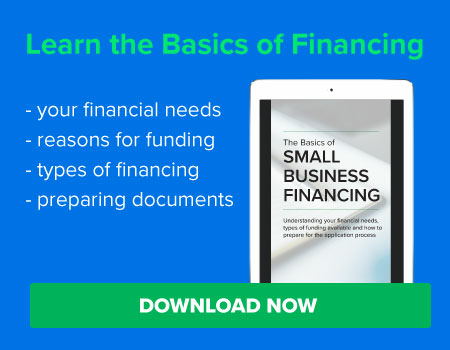 We offer small business funding and can provide financing with a business term loan, a line of credit or account receivables financing to help your business grow. Consumers know what they need and are looking at their options and probably different companies. This is when you get to start personalizing and tailoring the experience for the customer. The main goal in this stage is to narrow your focus, yet still keeping the big picture in mind, and provide the solution to the customer’s problem/need. It is important your business stays relevant and promotes itself through an online presence. Customers will dig deeper into their research and start doing comparisons between their top choices. This is the second stage of interaction and when customers start reaching out for specific information pertaining to their need. The Consideration Stage is all about evaluation and the personalization with a connection to the individual customer; providing the solution to their problem. Create trust and credibility with your brand with marketing channels to help explain the details of your product. You can use marketing channels such as social media, blog posts, product or service reviews on sites like Yelp, direct mail, email, your website or mobile app, in-store promotions, product displays, retargeting ads and paid search campaigns like Google Adwords. Customers are ready to make a decision. They’ve done their homework and are ready for closure. This is when you can make or break the experience for the customer, creating either a happy and loyal relationship or the adverse. The main goal in this stage is to help your customer decide that your product or service is the one they need. It is important customers feel valued and confident in their decision. Your business and the way you interact with them is more important than ever at this stage. This is the third stage of interaction and when customers move forward with and act upon their decision. To help your customer make a decision, make it easy for them to contact you. Use marketing channels such as an instant messaging or an online chat tool, phone calls, demonstrations online or in person, contact forms on your website, blog posts, social media ads, retargeting ads, knowledgeable and attentive customer service representatives, and provide detailed testimonials. The Awareness, Consideration and Decision Stages of the buyer's journey gets your customer to the point of purchase. We're taking it a step further and want you think about the full lifecycle of your customer all the way through to their experience and creating loyalty among them. This is where the last two stages come into play. Customers are ready to dive into your product or service. They've purchased and are looking to form an experience. In the Experience Stage, you have the opportunity to upsell or cross-sell with additional products or services. The main goal in this stage is to focus on your particular product or service and form an experience that makes a difference to the customer, confirming they made the right choice by going with your company. Customers at this stage have entrusted you with their business, and you want them to walk away happy. This is the fourth stage where customers expect the best experience possible, which gives you the opportunity to introduce other products and services. The Experience Stage is all about confirmation. To help your customer feel valued, use marketing channels such as email newsletters, promotions, social media, community forums, FAQs, personalized coupons or exclusive offers. Provide your customer with a smarter, customized and integrated experience, with the ultimate goal of establishing a life-long relationship and an advocate for your brand, which takes us to the final stage of the buyer's journey. Some of your customers may move onto this stage. These customers love your product or service and want to do everything they can to evangelize it. If you've done a phenomenal job in the previous four stages, you will have an opportunity to ask for referrals and create an advocacy program. The main goal in this stage is to help your evangelical customers tell your story and bring in referrals, which is the most effective way to market - word of mouth. These customers are always thanking you for your product or service. They may already be talking about you on social media. To help your customers become better advocates for your brand, build a program that makes it easy. Create a referral program and give them something such as a discount or cash for referring another customer. Give them pointers on how to tell your story and share your product or services on their social media accounts, email or by simply talking to their friends. Technology, social media, and self-service are new contenders that have contributed to the evolution of customer service. We are more informed than ever and are at risk of losing business or failure if we are not careful and wise. Everyone wants to feel special and when you think about your customer journey, you are shifting your perspective to think outside the box and are taking a proactive approach to identifying all aspects of the relationship between you and your potential customer. Understanding the mechanics behind the behaviors, expectations and goals gets you to the bottom-line and that “end of the road.” Your buyer's journey has a purpose and is actionable, putting your small business on cruise control so you can coast off into the sunset with your happy and loyal customer in the passenger seat. 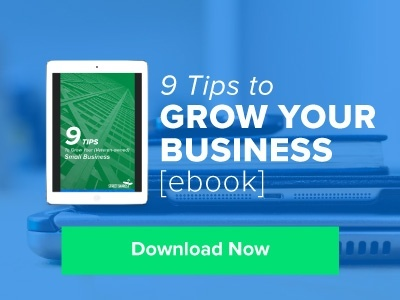 Learn more about growing your business in this free ebook, "9 Tips to Grow Your Business." You'll get nine solid business growth strategies including investing in your business with small business funding, how winning a government contract will help to grow your business and how to actively measure your business success. Download it now. This communication is provided for informational purposes only. It is not intended to be an advertisement, a solicitation, or constitute professional advice, including legal, financial, or tax advice, nor is StreetShares providing advice on any particular situation.